X-Small - $49.99 Only 2 left! Small - $49.99 Only 4 left! Medium - $49.99 Large - $49.99 X-Large - $49.99 Only 8 left! Bow to the Queen! It's been a long journey to the throne room, so it's time to sit back and enjoy all you've accomplished during your time in the capital. You might not have all of the royal family left to help you out, but by this point, all you have to do is rule, and we're sure that you've got it covered. Just make sure you look the part. 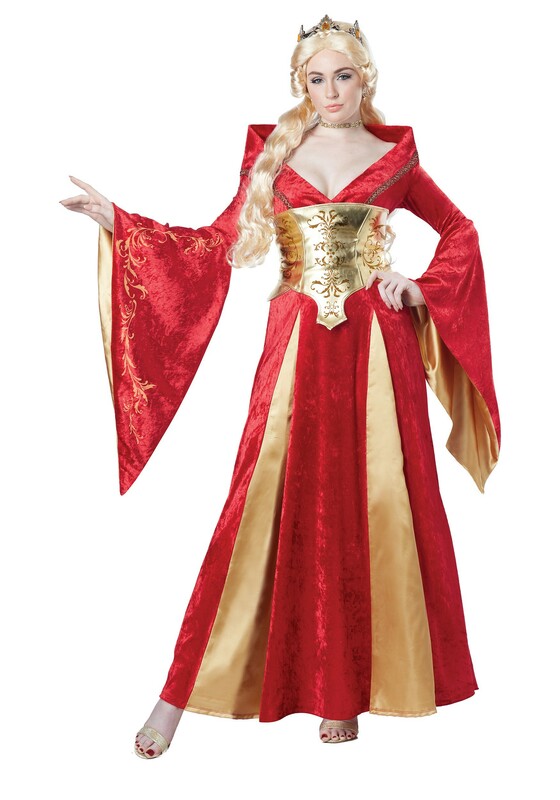 With this red and gold dress, all will respect your power, and your style! It's the true look of a lion-hearted queen, and whether you rule with leniency or with an iron fist, everyone will agree on at least one thing about your legacy—you looked good doing it! The dress is comfortable, and it's even prettier than in the picture. The corset string isn't long enough for me, but I think that will be an easy enough fix.